As the temperature rapidly drops, and business increases in the lead up to the holiday season, what better way to reward your hardest working employees than a promotion or a better share of the week’s tips? The larger your work force, the harder it can be to keep track of, and manage the various contract types and pay rates of your employees. Luckily, the Pay Details editor on staff profiles gives you the tools to ensure your staff are always getting what they deserve, whilst taking time and confusion out of your HR process. The start of 2017 may bring changes to staff members’ pay rates and contract types, and Kobas allows you to schedule or backdate these changes as appropriate. You can make changes today and have them take effect on the 1st January, or if you forget, you can set changes to apply historically in the new year. Changes can be scheduled with contract type, pay rate, or Tronc. If any staff members go the extra mile over Christmas and the new year, then you can set their Tronc weighting to reflect this. Reward their efforts by weighting Tronc more strongly in their favour, and they will get a nice bonus out of a given week’s tips. Kobas supports full time and part time contracts, and we released zero-hour contract support earlier this year. Once you set a staff member’s contract type, Kobas will take care of holiday calculations for you, setting statutory minimums automatically and calculating accrual across the coming year depending on contract type. 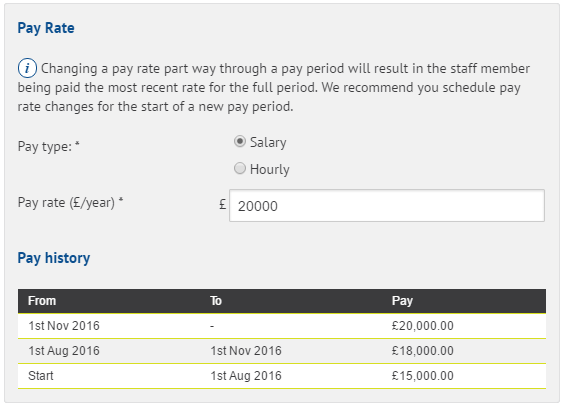 Your staff members’ pay rates can be changed and set to be paid by the hour or salary, and Kobas stores a history of any changes for easy future reference. As ever, there are many ways that Kobas can take the stress out of your HR processes. 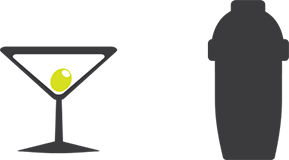 Get in touch if you would like to find out more about how Kobas has the right solutions to your HR needs today!